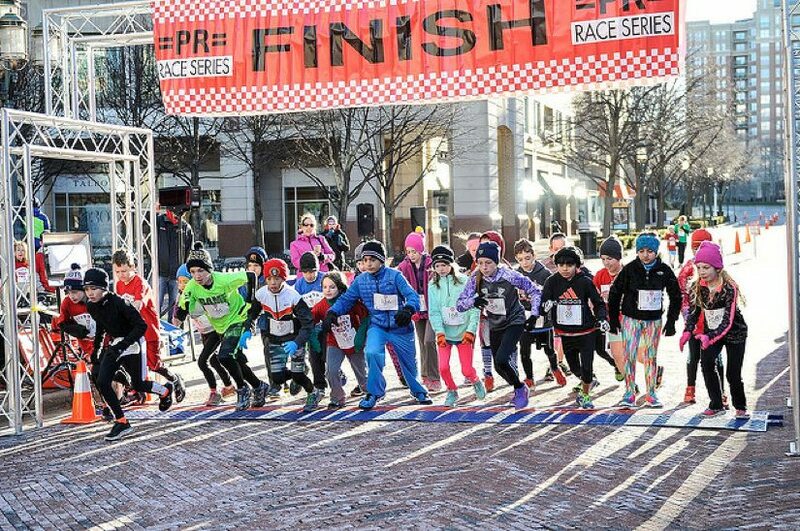 Get your young runners ready — the Mighty Mile is this Saturday at Reston Town Center. The annual Mighty Mile is a race just for kids ages 6 to 14. Race time for the oldest runners (ages 12 and up) is 8 a.m., with the rest of the age groups following every 15 minutes. Runners ages 4-5 will have a half mile course at 9 a.m., and there will be a Tot Trot (100 yards) at 9L15 a.m.
Packet pick up will be at the Reston Town Center PR Running store (11911 Democracy Dr.) on Friday April 1, 3 to 7 p.m., and Saturday before the race starting at 7 a.m.
All runners in the mile and half-mile will be timed and will receive a finisher medal (ribbon for the Tot Trot runners). No parents will be allowed on the course with their children; parents will only be allowed to run in the Tot Trot. The course will be blocked off to all traffic and lined with volunteers for monitoring and safety of all participants. Entry fee is $20 ($15 for half mile; $10 for Tot Trot). Sign up on PR Race’s website.